Baccarat is an easy casino game to play and master – get two cards, and hope to get a value of 9. Although the basic assumptions about the game is simple, there are still casino players and enthusiasts out there who are looking for more when it comes to playing and mastering the game. This need is understandable; everyone wants to end up the winner and fully appreciate a game of Baccarat whether online or offline. For those looking to discover more of the card game and fine-tune the strategies, here are some top Baccarat books that can save the day. Different gaming websites carry their own best lists and one popular title that’s common among the lists is The Baccarat Battle Book penned by Scoblete. Known for his many years of experience in writing gambling resources, Mr. Scoblete has returned to form with this comprehensive Baccarat resource covering many topics including basic play, play strategies and bets. 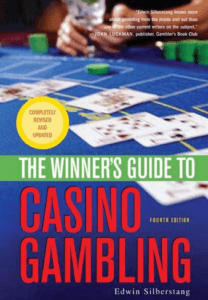 The book also covers card counting strategies, tricks to limit casino commissions and money management ways. The book is written in a friendly and straightforward tone, helping a first-timer makes sense of the game. Stuart knows exactly what to write in his own version of a Baccarat book. He was once the part owner of a casino and casino hotel. He is also an expert player and enthusiast of the game, having won Atlantic City tournaments winning quarter of a million in the process. In short, the book is a personal take of the author about the game and strategies. Readers can expect anecdotes and stories on top of the usual strategies and tricks on how to play the game. Consider this Baccarat book as a great first book for new players of the game. John May dives into the history of the game and other sociological perspectives about Baccarat. Of course, the bulk of content is focused on the rules and strategies of the classic Baccarat, with some sections focused on strategies. Here’s another Baccarat book that’s written by someone who played the game and learned lessons along the way. 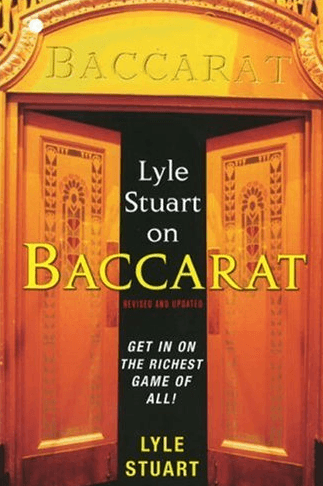 Though not exactly a strategy and step-by-step book, this Baccarat book is still an interesting read thanks to its stories and anecdotes about the game, Las Vegas and the industry as a whole. For the third revised edition of the book, Mr. Silberstang talks about a number of casino games, Baccarat included. Although many games are covered in the book, the section on Baccarat is well written and a great resource for those looking for guidance. His mantra in playing the card game is simple – work and play your way around in casinos with the lowest house edge. This book is recommended for experienced Baccarat players and enthusiasts who are looking for more. It focuses on detailed strategies to help players make sense of each playing style and approach. There are 17 chapters that focus on Baccarat essentials from basic rules and history to some thoughts on advanced playing techniques and strategies. Here’s another book written by Scoblete on casino gambling. Although this covers many casino games, the chapter on Baccarat is an interesting reading material. It covers in-depth information on Baccarat tips and other money-management strategies when playing the game.